Welcome to Casablanca, the White City with is the country’s largest cities. Meet and greet your guide, travel mates and depart for your very first real connection with the city over breakfast. After breakfast, set out for a guided tour of the city. Casablanca is a city full of interesting sights. 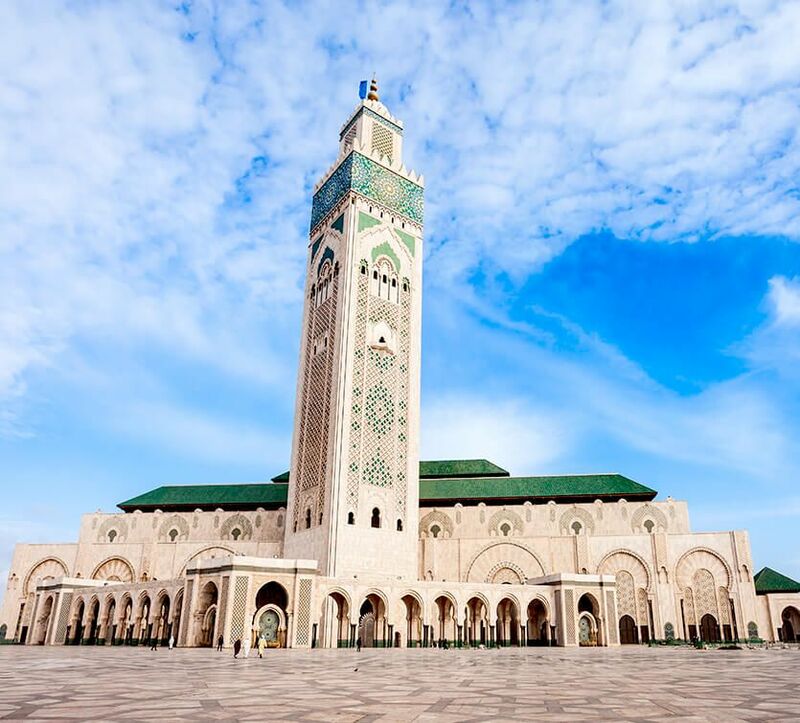 From its famous Hassan II Mosque to the romantic Rick’s Café, the Cathedral and Twin Tower, there is so much to see and explore. 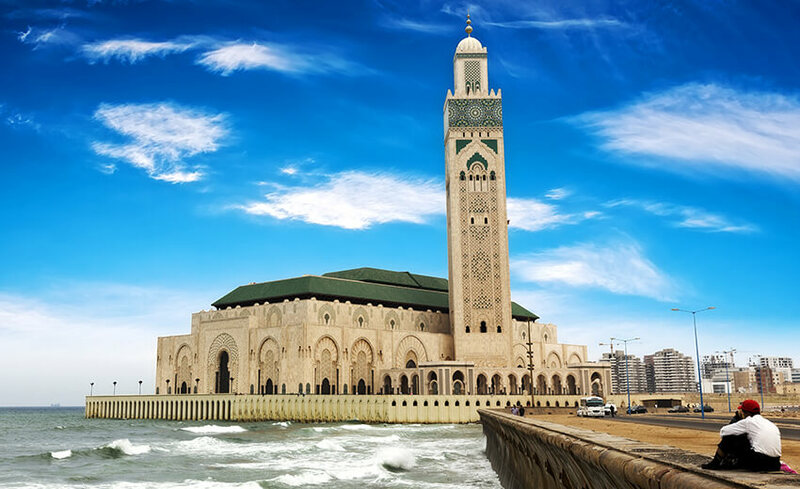 The Hassan II Mosque stands partly over water which has a minaret standing at a whopping 210m height and is the third largest mosque in the world. Rick’s Café is almost an institution here. Made famous by the World War II drama Casablanca, this Café is a must see place when here, whether you have seen the movie or not. The music played here as your sip your beverage transports you back in time…the sounds of “As time goes by…” will remain with you for years after you leave here! Driving through the city you will see wide tree-lined boulevards and examples of French-influence in the architecture and cuisine. Casablanca also has the largest artificial port in the world. Drive through the Art Deco Quarter to take a peek into the forgotten days of the city’s glory. The street, built over a century ago is lined with restaurants and cafes and is the perfect place to wind down. Overnight in Casablanca. After breakfast, say goodbye to Morocco and proceed to the airport for your flight to Lisbon, Portugal which is your next destination. 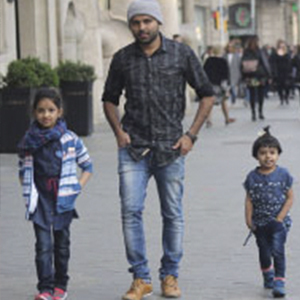 Upon arrival, head out for a guided tour of the city. Welcome to Lisbon, Portugal’s most historic city. 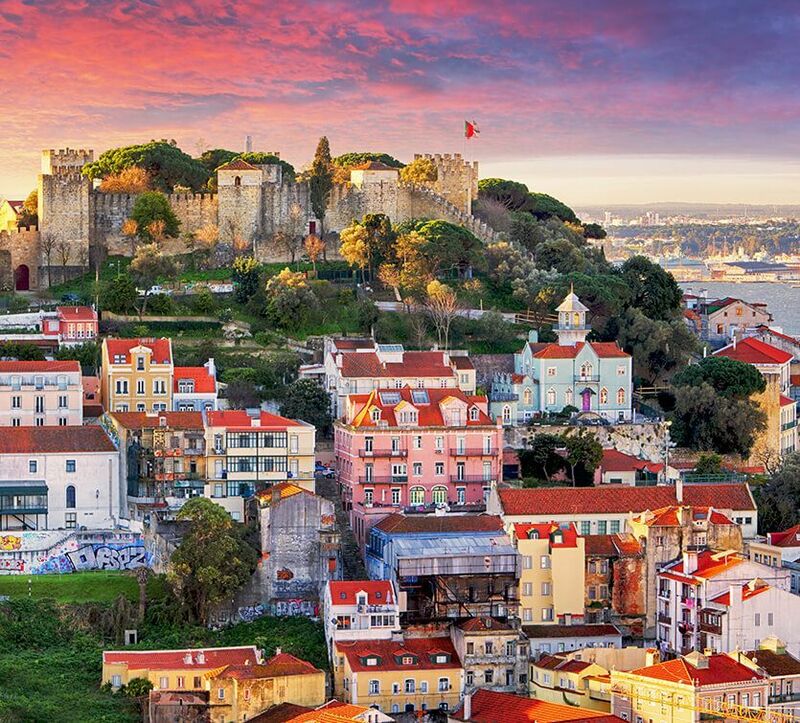 Your tour will take you on an exploration of Sao Jorge (Lisbon Castle) sitting on a hill overlooking the city and Tagus River. This castle was an ancient seat of power and is a huge attraction among visitors. The castle has two sections – the Moorish Castle and the Royal Palace, both of which make your visit interesting. Proceed to the Belem Tower, originally built as a lighthouse then turned into a defensive fortress. The tower built in the 16th century enjoys a UNESCO World Heritage status and is one of the 7 wonders of Portugal. Free time in the Alfama City Walk, located upon a small hill. Walking through Alfama, a small district is like walking back in time and the walk offers great views of Lisbon. It is also considered to be the soul of the city. Stand on top of the stunning view point Miraduoro Das Portas do Sol for some fabulous pictures before heading out to the Commerce Plaza. Continue strolling through the cobbled streets of Bairro Alto, the Bohemian quarters then go up Santa Justa Elevator for an incredible view of the city. On the way, stop by Lisbon Cathedral, which is one of the oldest church in the city and an iconic religious building. Check in to your hotel. Before dinner, you will have some time to see more of this beautiful city. Overnight in Lisbon. Greet the morning with a sumptuous breakfast spread at the hotel. 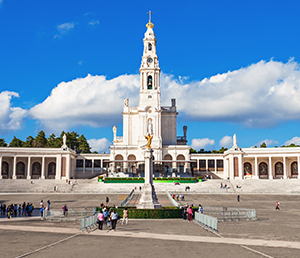 Today you have a free day to wander through the city or go on our Optional Tour to Fatima (including lunch). Our Optional Tour will begin soon after breakfast and is a full day program. On this tour you will learn of the children who, in 1917 are believed to have seen an apparition of Our Lady of Fátima. It is an important religious site today and attracts scores of visitors every day. On this tour, you will also visit the small medieval town of Óbidos. Often called “The Wedding Town” Obidos, a very well preserved and extremely picturesque, gives you the impression of being in a fantasy land. 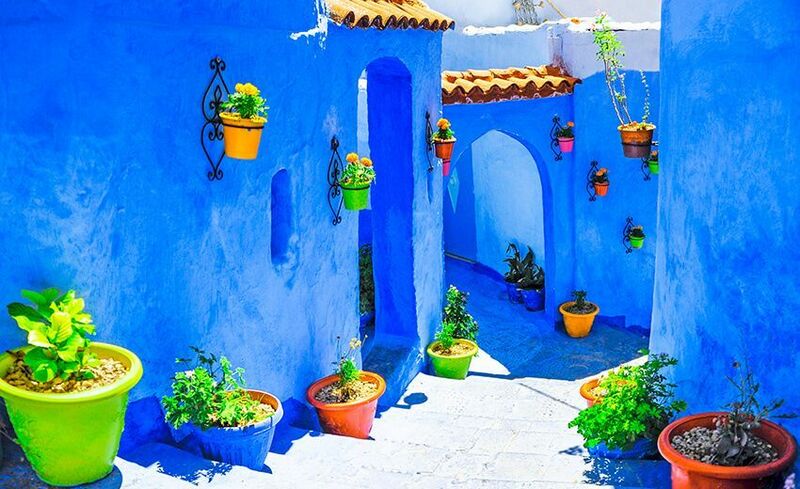 Absorb the warmth and charm as you stroll through this white town full of small maze-like houses. End your trip with exploration of the Batalha Monastery (Monastery of the Battle) built in 1385 and marvel at its ornate architecture. Return to Lisbon. Overnight in Lisbon. Bom Dia! Wake up to your last breakfast in Portugal. 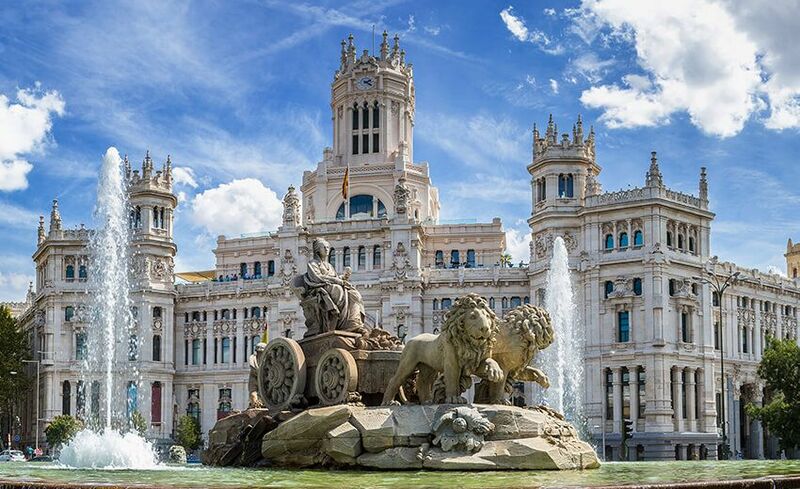 Once you are done, check out and proceed for a brand new experience – Madrid, Spain. 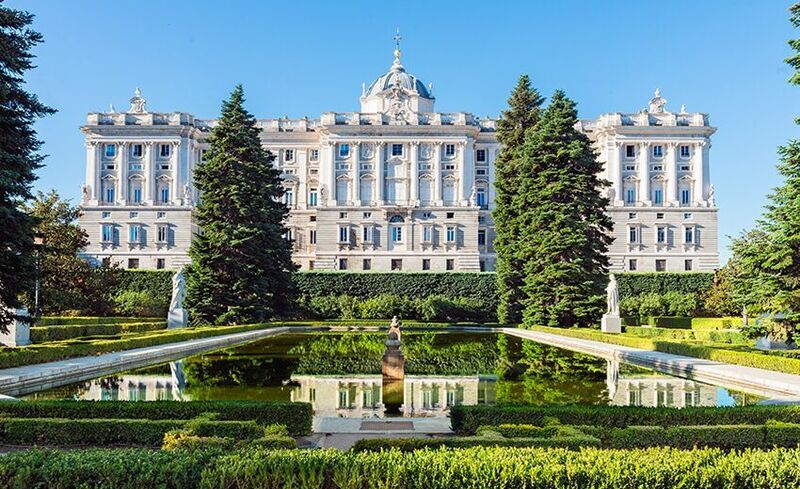 Arrive in Madrid, check in to your hotel and enjoy some free time to explore this electric city. 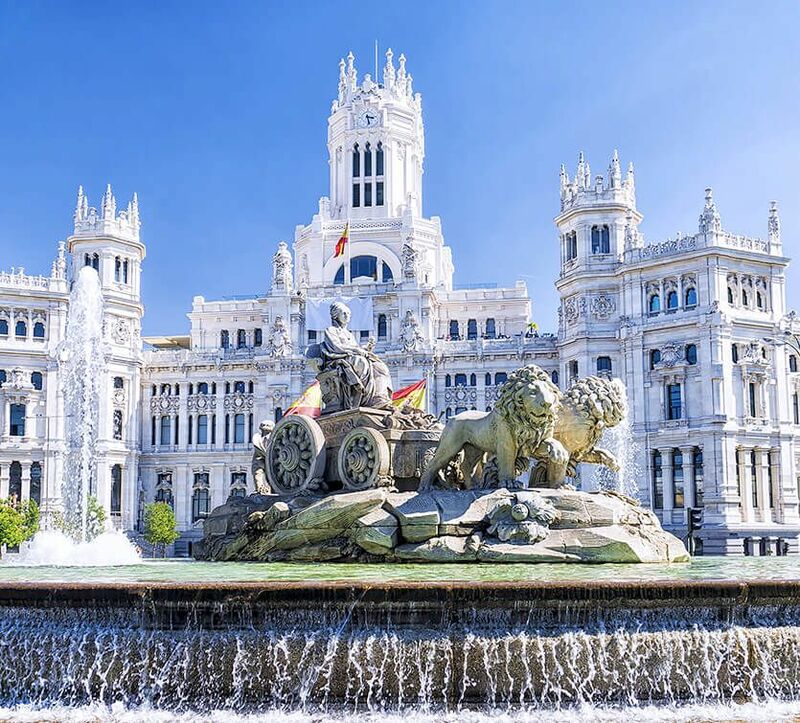 Madrid has a great nightlife – with a vibrancy that is unmatched. 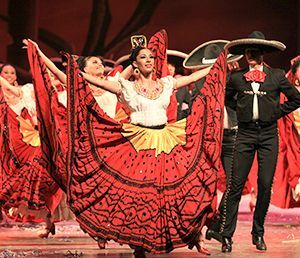 If you have the inclination, enjoy a concert at the National Auditorium, walk along the Alcala Street or simply enjoy the night from a rooftop bar. Overnight in Madrid. Day 6 Madrid guided city tour , Toledo . Greet a fabulous Spanish morning with a breakfast buffet at your hotel in preparation for the next destination - Barcelona. The name itself is enough to get you into the mood! The drive from Madrid to Barcelona is beautiful and you will see the gorgeous Spanish countryside unfolding before your eyes. As you drive towards your destination you will also get the chance to visit the historical city of Zaragoza, overlooking the River Ebro. This is also the fifth biggest city in the country and has some excellent Moorish architecture outside of Andulasia. You will see examples of it in the Aljafería Palace which was built during the second half of the 11th century. It is filled with ornate Arabic arches and intricate carvings. Arrive in Barcelona towards evening. Check in to your hotel and head out to enjoy your first evening in this magnetic city. Waste no moment in getting to know this city. After all you are in Barcelona – it is a city that thrives on some unexplained energy. 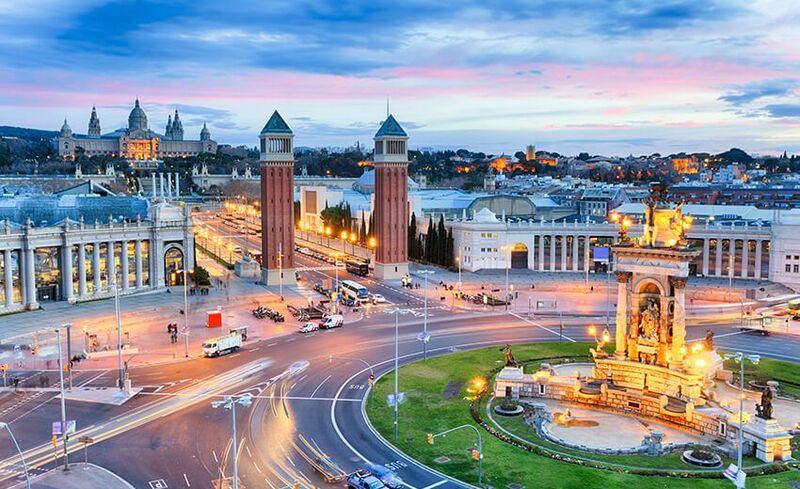 It is said that you can never get enough of Barcelona, no matter how many times you visit. Its pulsating nightlife and energy will sweep you off your feet from the word go. Overnight in Barcelona. Good morning Barcelona! After your breakfast, begin with a guided tour of the city. 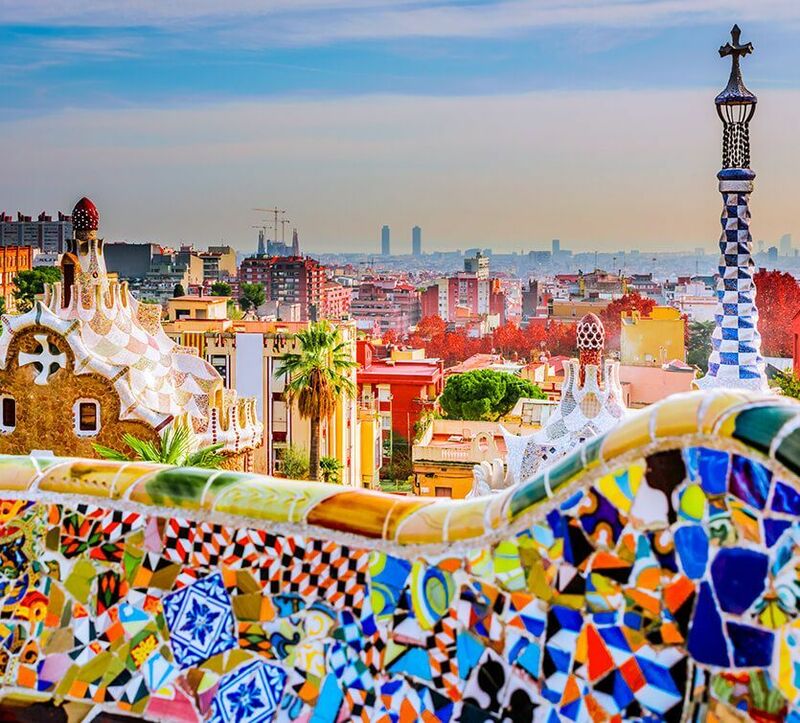 Barcelona was home of Pablo Picasso, which means there is definitely an artistic side to this city you must see! Plus, Barcelona’s famous Boqueria Market which stands on Las Ramblas is equal to none and has its very own reputation as the best place for Spanish food. You name it, and you’ll find it! 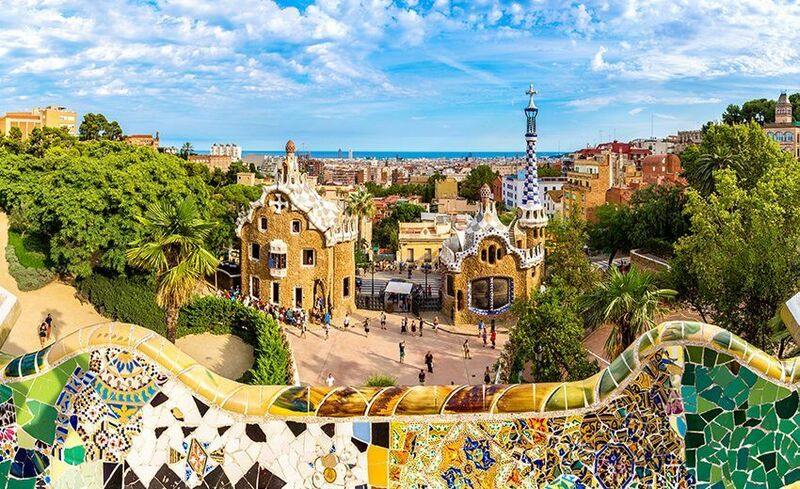 Barcelona is a city that offers a vibrant city break and a relaxing beach holiday! 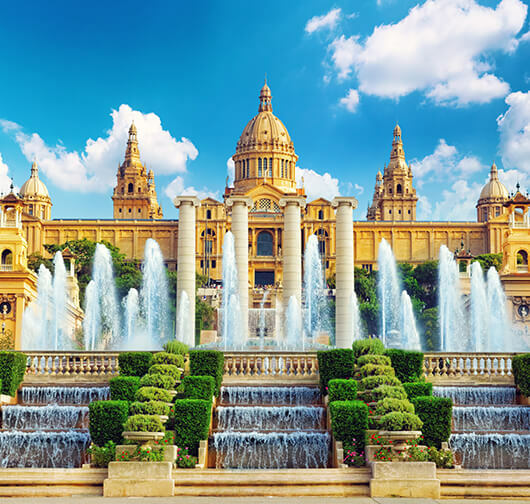 Begin you tour with the famous Barcelona Cathedral, one of the finest examples of Gothic architecture the largest religious building in Barcelona, Sagrada Familia, a controversial but hugely popular site in the city. This cathedral is visually intriguing and has been under construction for a century and is expected to be completed in twenty years! Drive through the Olympic Village which is built in the dilapidated industrial zone during the 1992 Olympic Games with the idea of housing athletes. The construction of this Village also created new neighbourhood, green space and a stretch of beach. After this you will have a photo stop at the Columbus Monument (get your camera ready here). Later you will check out the Gaudi Houses and wander around the Plaza de Catalunya. 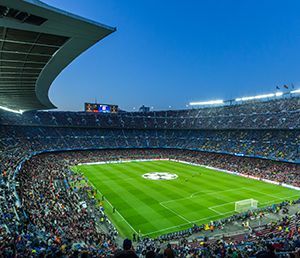 In the afternoon, you are free in the city of Barcelona on your own or go on an Optional Tour of the Barcelona Stadium. End your evening with another Optional tour of Flamenco performance. Get swept up in the pulsating energy and passion of the performers as they click and tap. Enjoy the sheer magic they create on stage. Enjoy local dinner before turning in for the night. Overnight in Barcelona. Today is your last morning in Barcelona. Check out of the hotel after breakfast and leave for the airport for your return flight home.